Eaton Academy is a tuition free public school academy serving grades K – 8 for the 2018 - 2019 school years. We also have two Great Start Readiness Program classrooms for children who will be 4 years old by 9/1/2018 (for the 2018-19 school year). At Eaton we believe in preparing all children for college from an early age and starting in kindergarten when ensure all students are on track to be college and career ready by the time they graduate. In an effort to improve system practices, Eaton Academy is conducting a Parent Survey. We value your opinion and ask that you take the time to complete this survey. 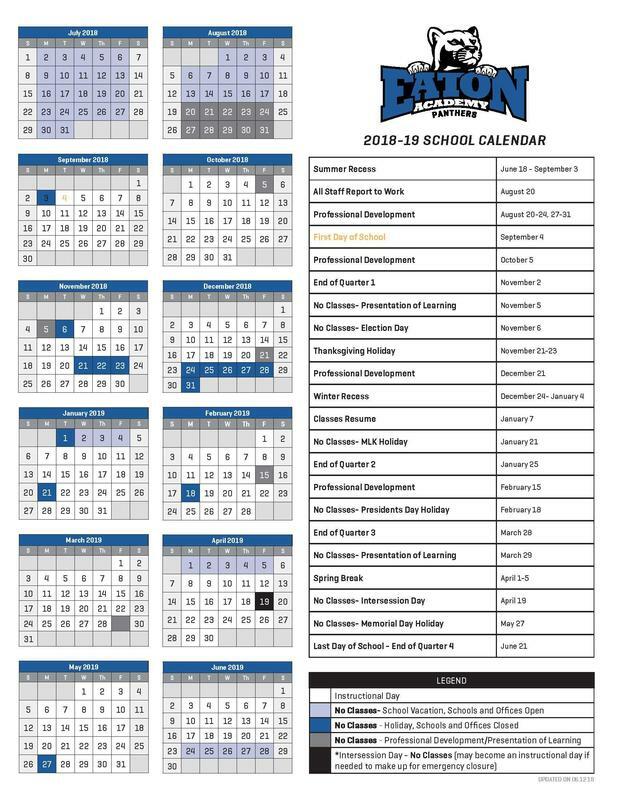 The Eaton Academy 2018-2019 academic calendar is here!